Doing book reviews for a newsletter has turned out to be a more subtle practice than I initially expected. If you’re the kind of person who winds up getting book reviews assigned or requested because "...you read all the time, man…", your natural assumption is that you ought to be talking about something that’s relatively recent (e.g. the updated second edition of Processing: A Programming Handbook for Visual Designers and Artists book, or Andrew Nelson’s fascinating The Sound of Innovation: Stanford and the Computer Music Revolution). But if your readership consists of a sizeable number of new users and persons who are enthusiastic but uncertain where to go for answers, you could always spend a little time discussing what a “basic library” might be for the beginner who believes that those book things remain repositories of wisdom. Curtis Roads’ book "The Computer Music Tutorial" falls squarely into the latter category. It is one of the few standard books in the field for beginners and seasoned pros alike, full stop. In fact, here’s an interesting piece of secret Max lore for you: Many MSP objects were written by going through chapters in the Computer Music Tutorial and creating implementations based on the material therein (it wasn’t the only source, but it features prominently in MSP’s DNA). You might wonder how a book from the mid-late 1990s has managed to remain relevant and a touchstone to some many readers. The first answer is that it’s been regularly updated over the years to reflect changes in the field (and the older materials on things like user interfaces have slowly been transformed from “current options” to “historical solutions” along the way). More importantly, it still provides a clear and reference-studded introduction to nearly every aspect of computer music concepts, software, interfaces, composition, and research. Just for fun, I thought I'd end this piece with a set of mini-reviews. I asked a number of friends and colleagues to say a few words about this book (of course, they've all got copies of their own). Here's a sampling of their responses. "I can’t think of any book about computer music that I’ve owned for longer and looked at as consistently as CMT (yes, the book apparently has its own acronym)." "I tell my students, 'Read this and then ask me questions.'" "Curtis (Roads) told me that he brings several copies with him to conferences - it's his business card." "It is one of my 10 desert island books." "I used to look at the Computer Music Tutorial often when I just didn't know what to do. Somehow all the dry descriptions of audio processes would always get me thinking about a new approach to sound that I hadn't thought of before, and I'd be back in MaxMSP tinkering right away." "The title’s a misnomer if you assume that 'Tutorial' means 'a cookbook full of tips for your X programming.' Instead, it covers all the basics, explains how they got to be the basics (and why history matters), and helps you figure out what you don’t know." "This is the largest book that I own that I actually use." If hope this pointer is of some help to our younger/newer users. So long, and um... happy reading! Excellent piece Gregory, and a timely reminder. I cannot disagree with any of the comments above. I mean, c'mon, it's Curtis fekn Roads for feks sake. He doesn't do things by halves. Thanks for the review Gregory - this looks like a vital reference work. You mention that "it’s been regularly updated over the years to reflect changes in the field." Do you know when the latest edition was published? I've searched bit online and have only come up with the original publication date of 1996. I cannot speak for Mr. Taylor, but I would just purchase a new copy of the volume. You are going to have this book on your shelf for the next several decades, ornamented with post-it note bookmarks. As Brendan says, it's Curtis fek'n Roads. I have a copy of this in each of my workspaces (3 in total). This is on the top of my list for books that need to be sold on iBooks. Both MIT Press and Amazon.com list the February, 1996 publish date. If a 'newer' updated version of this book exists, I'd like to know about it. Link, please? 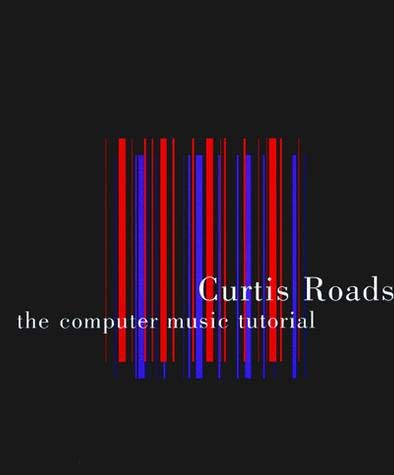 In his recent book, Composing Electronic Music: A New Aesthetic, Curtis Roads states, A revised edition of The Computer Music Tutorial is forthcoming. You may want to wait for that update. I plan to. I count several persons at MIT Press as friends/acquaintances, so perhaps I can help by asking them directly. I'll let you know if/when I hear anything back. I just checked Amazon for this title and it's listed as out of print (as of July 19th 2018). They sell "new" 1996 copies for about $75, which seems pretty steep to me ($93 on the MIT website). I'm going to wait for a revised and (hopefully) cheaper version to come out. It's not uncommon for a publisher to go out of print shortly before the release of a new edition. What's less clear is precisely where in the production pipeline the next edition of the book is - in the physical publishing world, those pipelines are often pretty long. I wouldn't hold my breath about the revised version being cheaper, although hope springs eternal, etc.